We are so happy to be partnering with Christopher Judd and Carol Lambert to bring life drawing to the gallery again! Chris and Carols’ combined talents, enthusiasm, and experience bring such a professional and enriched atmosphere to these sessions. 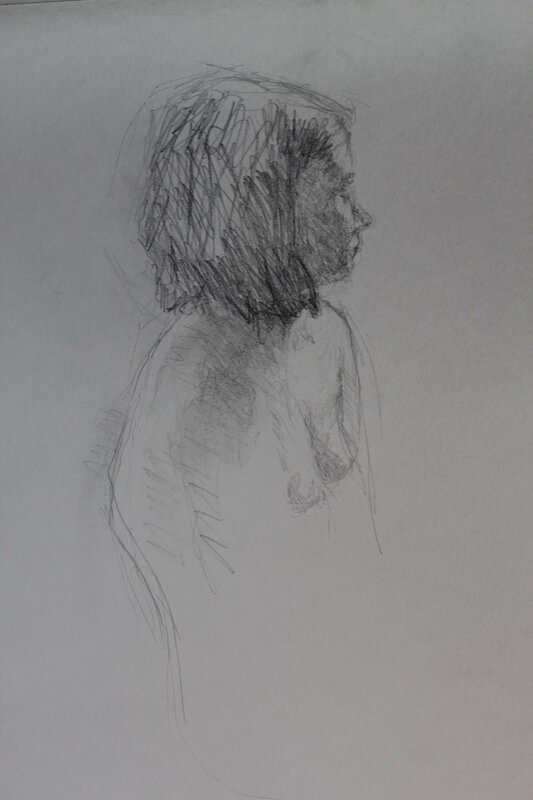 There is no better way to continue to improve and exercise ones drawing abilities than working from a live model with fellow artists that are working towards those same goals. - These lectures will be mostly regular, but please check in with Chris (contact below) to make sure there is one planned. - The doors open at 6:00 and close at 6:30 when posing begins, so be sure to show up early and grab a spot. - The door will be locked while the model is posing, but model breaks will be from 6:50-6:55, 7:15-7:20, and 7:40-7:45. The doors will be unlocked during those times, but if you come after that, you're out of luck. - Parking downtown can be spotty, so give yourself enough time to park and set up. Please - no wet media, and CASH ONLY!